Disney Tangled or Handy Manny 6-Volt Ride on Toy Under $30 Shipped! 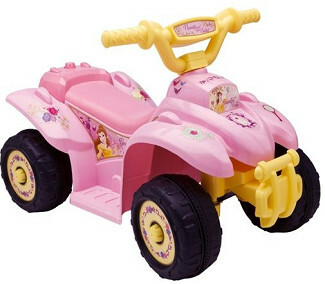 Pick up the Disney's Rapunzel Tangled 6-Volt Quad ride-on toy for just $29. That's $10 less than the Black Friday price of $39! Want a riding toy for boys? The Disney's Handy Manny 6-Volt riding toy is the same price! Even better, shipping to your home is just $.97 for these items.